Ranked No. 24 by Memphis Business Journal's "Top of the List: Tennessee LEED Certified Spaces"
To view solar panel energy production at Freedom Plaza, click here. Freedom Plaza was completed in November 2008, and was completed two weeks ahead of schedule. 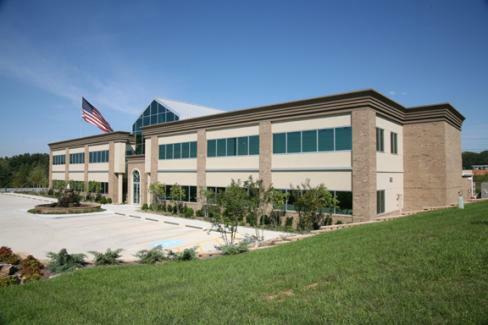 The 28,000 square-foot building features environmentally friendly attributes that reduced average gas heating costs during the first two winters of operation to less than $145 per month. This amount is significantly less than the cost to operate buildings of comparable size and structure. 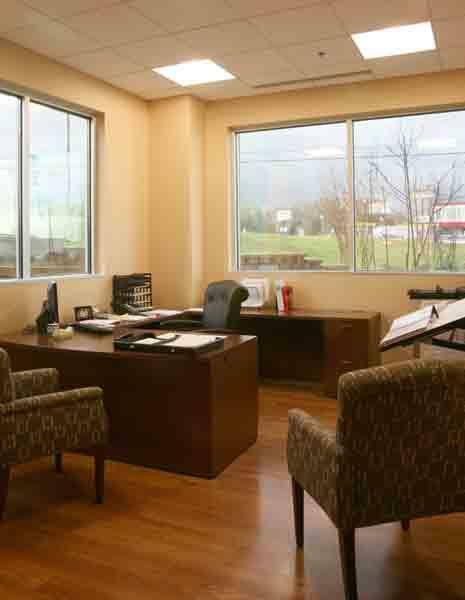 Being a true design-build project, J&S Construction brought subcontractors in very early during the design process to work with the owner and architect. 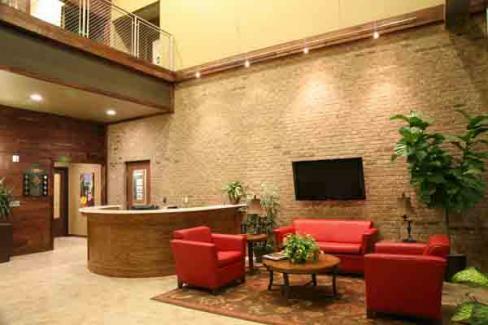 These groups developed the best value designs for the owner. 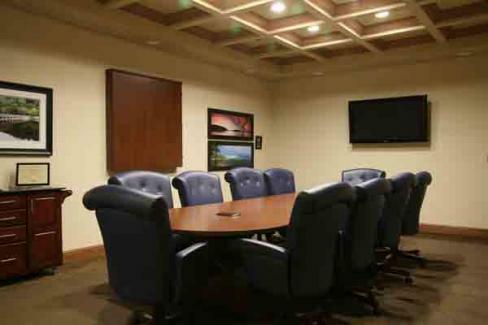 Since J&S Construction chose to work with subcontractors with whom it had previously established relationships, no bids were received on this project; every contract was negotiated. 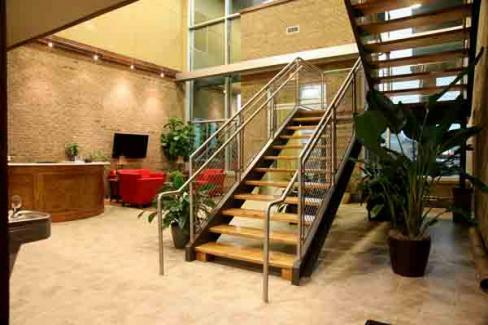 The building was the first LEED Gold Certified Class “A” Office Space in the State of Tennessee. 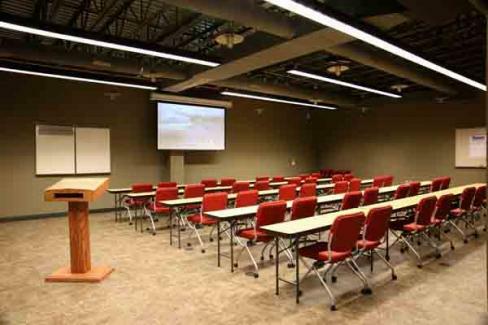 J&S Construction worked alongside CHC Mechanical to design and install and mechanical systems in this building. The building incorporates a water source heat pump designed and installed by CHC. Freedom Plaza was completed without any contractor requested change orders. 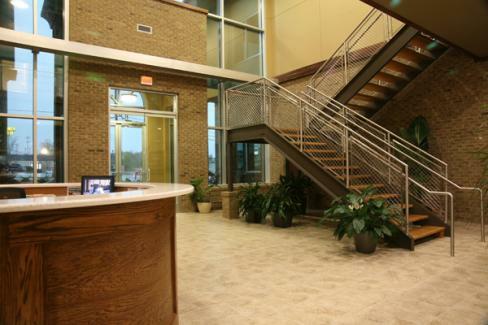 J&S Construction, CHC and the architect developed an innovative system using the building’s sprinkler system as the water source for the mechanical system. The extra cost for the increased capacity and pressure were offset as the heat pump system did not require an additional line for that single function. The mechanical system features a water source heat pump with a closed loop system. It has a fluid cooler and individual heat pump units hanging within the ceiling area in immediate proximity to the area they serve. The water for these heat pumps circulates within the water sprinkler system eliminating the need for another water line to be installed just for this system. Freedom Plaza has nine mechanical zones and the water source heat pump allows heat to be pulled from one area and passed on to another area. This feature allows simultaneous heating and cooling within the building depending upon the requirement of individuals within each zone. 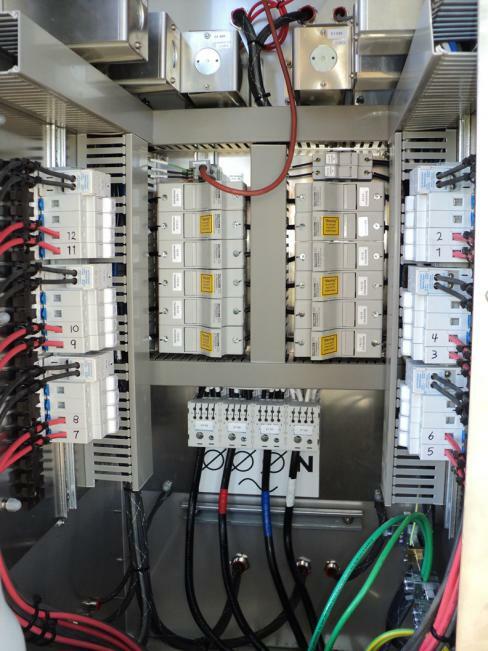 Freedom Plaza's new solar panel addition began generating electricity in November 2010. 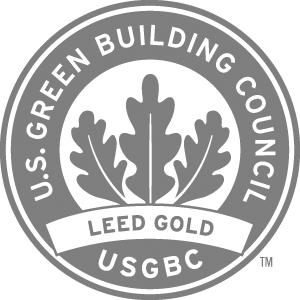 In an effort to improve energy consumption and implement energy-saving, cost-effective projects, J&S Construction continues to refine its efforts in sustainable construction and Leadership in Energy and Environmental Design (LEED). 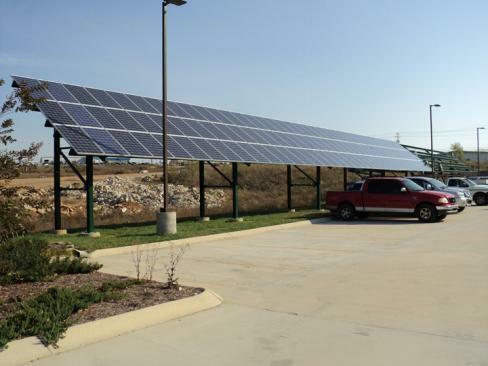 J&S Construction worked closely alongside Total Quality Environment (Cookeville) and the Tennessee Valley Authority (TVA) Generation Partners to complete its solar panel installation. TQE opened its doors in January 2009 and is responsible for providing both Solar/Wind products and installations for the Southeast. The TVA Generation Partners is a program where participants support the environment by helping keep the Tennessee Valley clean and green. They also benefit by defraying the costs of their renewable system installation and lowering their monthly energy bills through the revenue they receive from the sale of the green power. 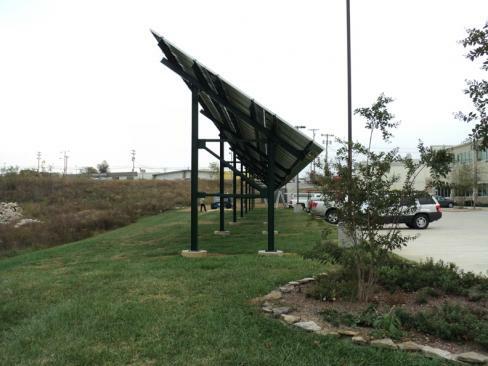 Along with this solar panel addition, J&S Construction has completed systems for several Sonic Restaurants in the Nashville area, as well as multiple solar panels for private clients at the Nashville International Airport.